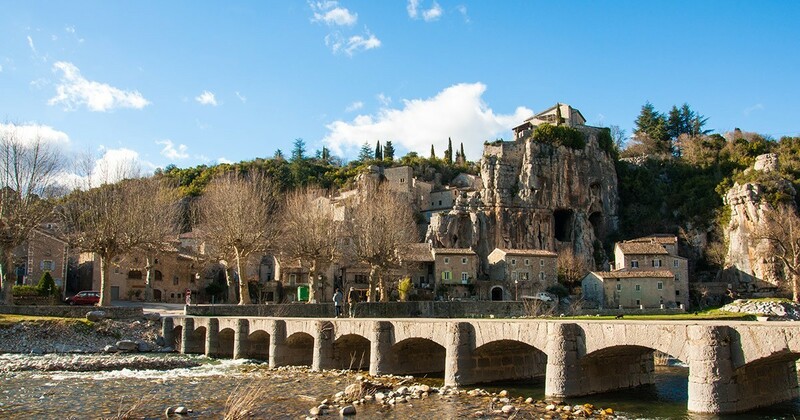 It is in the Department of Ardèche in the region Auvergne Rhône Alpes lies the town of Labeaume. It is a medieval city located between rocky cliffs. With its green environment, the small town form an exceptional landscape. 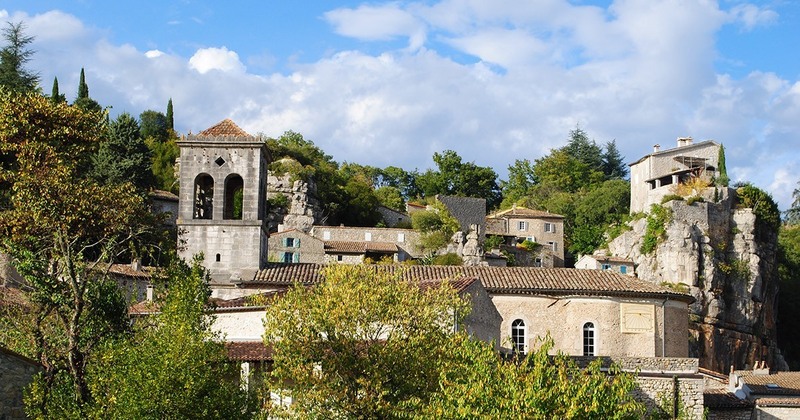 This village of character is bordered by three rivers including the Beaume, the Ardèche and the line. It is coiled in the middle of the Ardeche South between Ruoms and joyful. Labeaume is a holiday destination of choice if looking for a place where you can rest quietly. Strolling through the city of Labeaume, one can admire the medieval structures of all kinds. It includes beautiful stone houses, in cobbled alleys, or even covered passages which overall give this town a print of labyrinth. An ancient castle dominates the village. At the bottom there are the Sablas square which is surrounded by centuries-old plane trees. On a corner of this square, there is an old building which houses the old mill grain and olive oil. We can continue the visit to the Church of St. Peter in the links of the 14th century and then to the old submersible bridge which spans the Beaume. When we walk away from the village, one can admire on the path of dolmens and the hanging gardens. We can also pass beside the houses and hamlets that are related to the silk industry. The hamlet of Chiapas is one. This exceptional corner of Gallo-Roman origin is home to scenic points including the rock of the priest, the chapel of our Lady of deliverance and its Tower decorated with a Virgin. Labeaume extends on an area of 1 775 ha. Its altitude varies between 102 m and 282 Mr. There are fewer than 1,000 people who live in this village. Since 1991, it is twinned with Soral, a municipality in Switzerland. It is part of the community of communes of the Gorges of the Ardèche "land of men, of stone and water. In 1998, the village of Labeaume is labeled Village character. In the town and its surroundings, tourists and vacationers can have a choice between several types of hosting solutions. They can opt for the guest rooms, the hotel, the holiday village or the cottages. There are also campsites. As recreation, everybody can find what he needs in this village. We can do walks or hikes, cycling or hiking. As the town has three rivers, we can also do various water activities namely swimming, canoeing, kayaking or fishing. During some periods of the year, special events are organized in this county. The Festival of classical music is one. We also organize exhibitions or associative events of all kinds. If you need to have information about Labeaume, it may do some research on the site of the commune. You can also inquire at the tourist office.